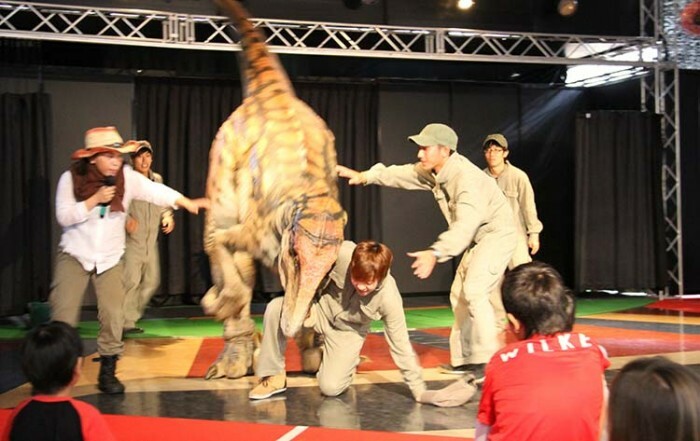 Dinosaurs are big attention getters anywhere, but this month at Tomiton Toyosaki Life Style Center, they’re absolutely the stately beasts. 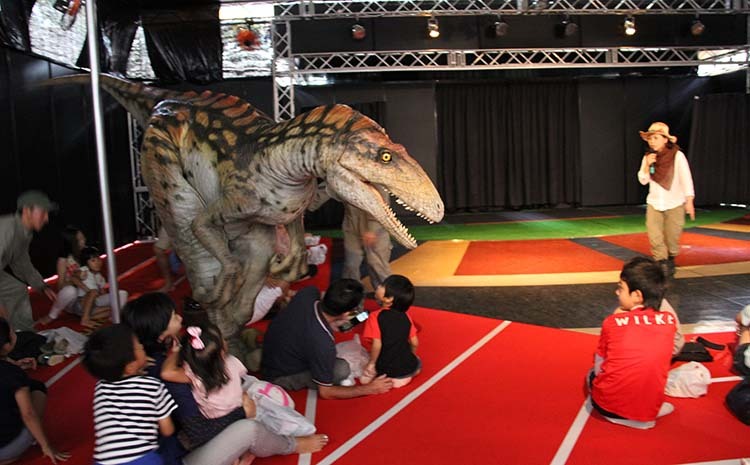 The dinosaur experience Dino-A-Live is in place through the end of August, giving visitors a chance to see a rampaging, barking and biting dinosaur close and personal. However, these are the dinosaurs, which are getting used to people, and they can be petted and touched. Who’s afraid of a big bad dino… Smaller kids get plenty of exicitement from their encounter with the beast. The Dino-A-Live is taking place daily on two stages. Live A and Live B have different programs. Weekday Live A programs are at 11 a.m., 1:40 p.m. and 4:20 p.m. Weekend and holiday Live A programs are at 11 a.m., 1 p.m., 3 p.m. and 5 p.m. Live B weekday programs are at 12:20 p.m., 3 p.m., and 5:40 p.m. Saturdays, Sundays and holidays Live B program are at noon, 2 p.m., 4 p.m. and 6 p.m. Admission is ¥1,000 for adults, and ¥600 for kids 4 ~ 15.